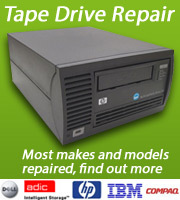 Castle Computers is Europe’s premier supplier of new and refurbished IT Equipment. Based in Reading, Berkshire we have been supplying the IT service industry and end users since 1995. Specialising in Tape Storage Products we also supply Networking Equipment, Uninterruptible Power Suppliers, Printers and a wide range of spares. With over 15,000 items available from stock and the ability to source parts from Europe and the USA you can rely on us to provide you with a fast and efficient solution. Castle Computers also offer a range of services including in house and on site repairs, advance exchanges and rentals. Whether you require a complete Tape Library, spare part or a repair with over 40 years experience within IT our dedicated team are here to ensure your requirements are met.